Even the most serious slow food enthusiast might baulk at the preparation instructions for one porridge recipe that comes from the Bartang valley, located in the wildest corner of the Pamir mountains of central Asia. 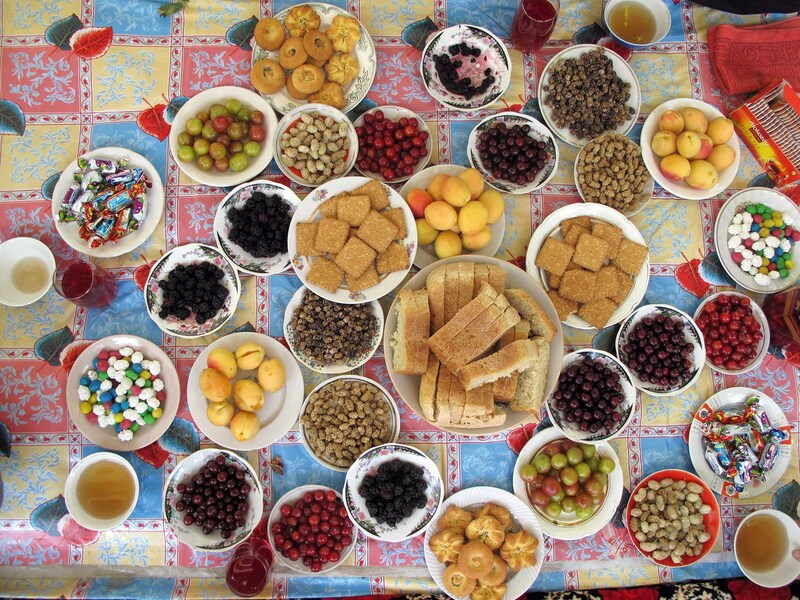 In a Tajik village “Baht” – a sweet festive porridge of flour and ice water – is made only once a year to celebrate Nawruz, the Persian New Year. It is traditionally made by men. It involves milling a sweet red variety of wheat that is only grown in the upper reaches of the valley and is specially cultivated for the occasion. Six kilos of flour is then mixed with 12 litres of ice and heated gently over an open fire, ideally burning wood from a sacred juniper tree. All the men of the village stay up all night, constantly stirring the mixture with a spoon made from apricot wood, singing songs and telling tales. 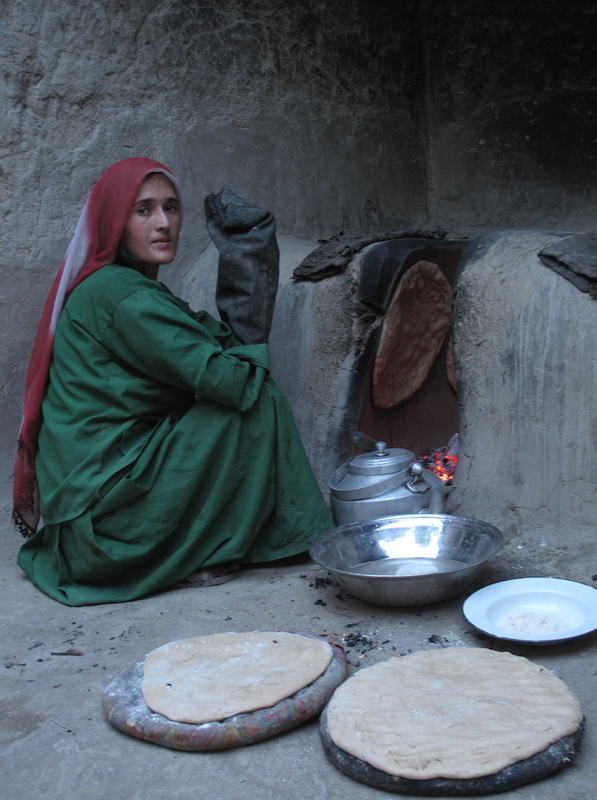 This is just one of a wonderful set of recipes collected from villages across Afghanistan and Tajikistan by Stockholm Resilience Centre researcher Jamila Haider and Dutch colleague Frederik van Oudenhoven. The resulting book – “With our own hands” – won the top prize at the international Gourmand cookbook awards last month. But this is far more than a cookery book. It’s a celebration of life in one of the world’s most remote and rapidly changing regions: a detailed oral history of the diverse people – covering agriculture, animal farming, traditional medicine, religion, song, folklore and dance. It is also a story of human ingenuity and adaptation in the cold desolate mountains – where people have managed to cultivate a vast array of rare crops found nowhere else. It is a treasure trove of bizarre knowledge: from the extraordinary medicinal quality of apricot stones, to why fat from a fat-tailed sheep makes pancakes so tasty. The book is written in three languages – English plus Dari (in Arabic script) and Tajik (in Cyrillic). 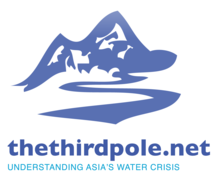 chinadialogue's sister site, thethirdpole.net, spoke to co-author Jamilia Haider about the book and what we can learn about hospitality and culinary genius of the chefs and farmers of the Pamir. thethirdpole.net (TTP): How did the book come about? Jamilia Haider (JH): I was a development worker in Tajikistan. I’d been there for over a year and never had any traditional or local food; it was all imported from Russia or western China or central Asia. During a workshop on agrobiodiversity I met Frederik [co-author] over a bowl of apricot soup and I was so inspired and fascinated by this culinary world I didn’t know had existed in this place I was living. It was a grandmother who asked us to write down the recipes because her children might forget and her language is unwritten. So then we started to work with a group of scientists – all women from the Pamir Biological Institute and Khorog State University – and went into all the valleys in Tajikistan and Afghanistan and started to collect recipes. But for a year or more nothing much came of it. I was working in Kabul in Afghanistan on agricultural development, and some projects involved importing improved seed varieties. It made me wonder: why are we importing these seed varieties into a region that has such diversity of its own and what is the impact on agriculture and language. I become disillusioned with the development process. So that’s when I contacted Frederik who was learning about permaculture in Colombia and we decided to go back to the Pamirs, travelling from village to village asking people to prepare some of the recipes that had been collected. TTP: Why is the area so culturally and biologically diverse? JH: The first thing is the remoteness and the terrain. It’s 97% mountainous, which means there are all these different microclimates at which different varieties of crops have adapted over millennia to grow. Also, to drought and different climatic conditions. Cultural diversity coevolves with that natural variety and leads to the variety of language. It’s also through human ingenuity that these crops were able to be domesticated. TTP: Why is the mulberry – which originally came along the silk road from the east – so important? JH: There are said to be up to 78 types of mulberry in the Pamirs. Pamiris joke and call it their second bread. It’s particularly important now because it saved lives during the Tajik civil war from 1992-1997. 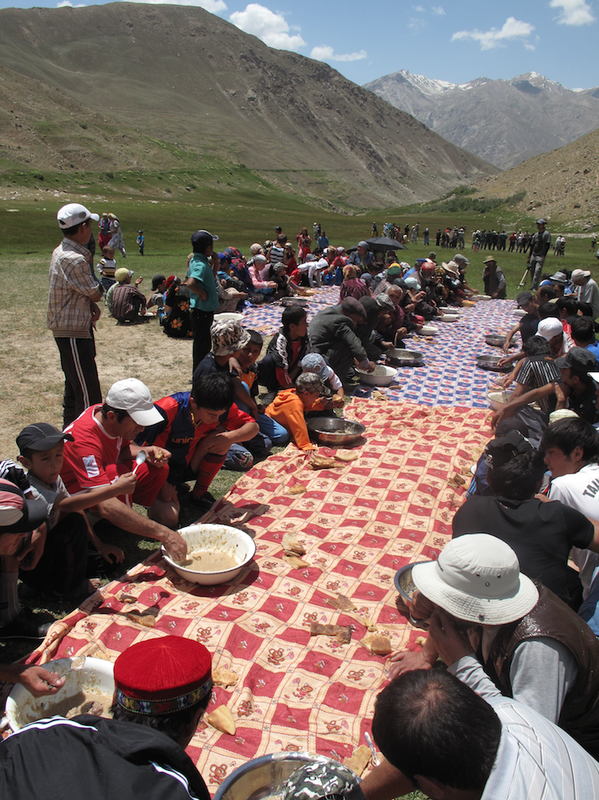 The Pamirs were cut off from the rest of Tajikistan and the world for seven years and didn’t have enough flour to even make bread and so they ground Mulberries to substitute flour for the bread and provide enough vitamins to see them through. TTP: What lessons can we learn from the Pamirs as the world struggles with climate change and an increasing dependence on a small number of crops? JH: The first one might be the values that are part of this food culture. It’s a culture of sharing and hospitality and that’s often expressed through food. So people leave food on a roadside in case a traveller needs it. Personally I’ve learnt a lot about generosity and hospitality. With climatic change, large socioeconomic upheavals or migration patterns we don’t know what the future holds in terms of productivity of the seeds we are currently using. We now depend on 6-7 crops globally, single varieties – if those fail or if the world becomes two degrees warmer and they do not grow as well, the resilience to adapt is very small. We need the crop diversity that places like the Pamir mountains have. I found that many of the seeds in the Pamirs have been preserved [in a frozen seed bank in Svalbard] but the knowledge of how to use and plant these seeds and the deeper cultural and spiritual meaning that goes with those seeds will be lost. TTP: The importance of music and song is a major strand in the book. Do songs carry knowledge between generations? JH: There are strong Pamiri traditions that exist, of dress, songs and poetry, through weddings, funerals, or festivals. But many popular songs now are spiritual and religious but less connected with the landscape. We end the book with the story of a dancing teacher. He decided to choreograph dances around harvest and silk making, produced in Soviet times, because he is worried children will forget. 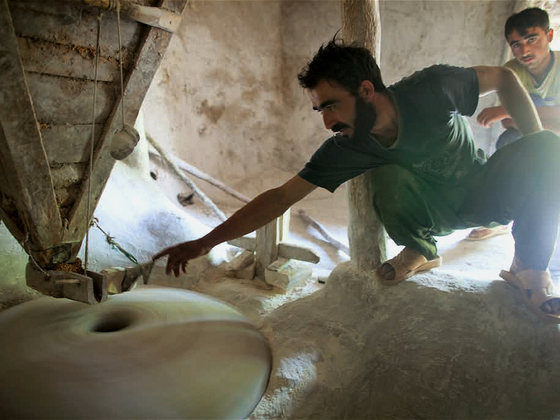 He comes from villages which have stopped producing different types of wheat. 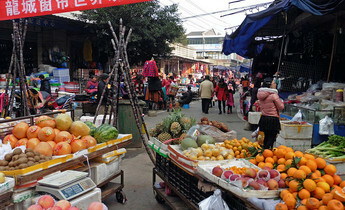 TTP: How are new trade routes with China changing food habits in the region? Over the past five years the amount of trade has increased significantly through the Kulma pass. Hundreds of trucks are now passing. The biggest impact is that everything is available in the shops so there’s no reason to grow it anymore. Almost everyone in rural area still has livestock; 5-6 goats or sheep and one cow but there are no milk products to be found. In Khorog most of the dairy products are made with milk powder from China. People are complaining that their health is deteriorating now that they eat imported oils and cheap products. The only things that make it to these hinterlands are the world’s worst products. TTP: Is climate change affecting agriculture in the region? We hear conflicting things about climate. Traditionally people have used body calendars and solar calendars to advise on growing seasons and they are saying it’s harder to predict and they’re seeing wider ranges and this is making it difficult to grow things. 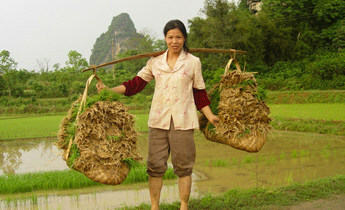 At the same time vegetables are now being grown and are available in Khorog and more affordable. TTP: What are the aspirations of young people in the region? JH: There aren’t many job opportunities so at any time up to two thirds of the working population are abroad, mainly in Moscow, and that’s linked in part to this ability to get food from the shops. It’s not economically viable to be a farmer anymore because people can buy food with money from the remittances. On the one hand the aspiration of young people is to leave. But many people who do leave still have a very strong sense of place and desire to be at home – the mountain air, the friendliness of people. Many aspirations are around creating opportunities for people to stay in the Pamirs to stay on the land and maintain their traditions. For example, creating small factories for food processing or sewing and exporting products along new roads. TTP: When you distributed copies of the books in the villages how did people react? JH: At first people were just surprised that we had come back. Then when they realised what the book was they were excited and felt wonder that it contained this language and knowledge which had only been spoken.